this time giuseppe cennamos and matteo spedicatis carillon adds a new artist to their roster: larsson.already known for his releases on fumakilla, rotary cocktail and bass culture, larsson deliever a fresh 4 tracker ep including a great melodic banger remix from label owner giuseppe cennamo. 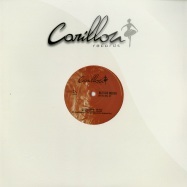 carillon continues with the vinyl limited series, after imprints in my mind of giuseppe cennamo, is the time for francesco assenza - berlin - sleep is commercial with sarahs theme on carillon limited 002.
two tracks, two dancefloor killers. sarahs theme is the main track with the collaboration of jmc, another artist from sleep is commercial. the other track is sarahs tool and is a solid and massive song. 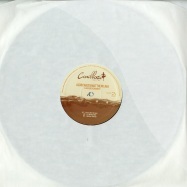 long awaited release from carillons mastermind giuseppe cennamo. after being amnesias secret weapon trough the hands of loco dice here it is - imprints in my mind! groovy, hypnotic and with a massive bass line let this track be your secret weapon too! here comes the master on carillon also known as alessio mereu. with an ep that soon will be released on steve bugs legendary pokerflat imprint, alessio delivers to our label a single really different from his typical style and approach to electronic music ... hot as hell! first on the a side we have >hot - spot< a track with a taste of electronic and latin vibes with psychedelic voices and a solid groove. 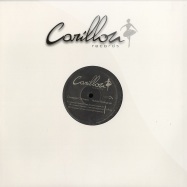 then we have alex cellers version (cecille - area remote) that takes the main sense of the track and rebuilts it for a very stylish version rich of percussions and emotionality. 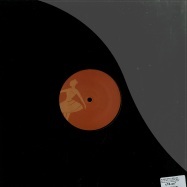 for the b-side we have >fire - hot<, a groovy club track for peak times with spoken vox sample from black poetry that really reminds the 80s rap style from the ghetto. one of the masterminds of carillon records matteo spedicati this time joins forces with the trio sinc for >la premiere danseuse ep< that find them developing a great groove based and melodic track. 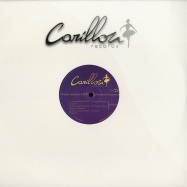 includes salvatore freda remix. supported by loco dice, marco carola, dubfire , danny tenaglia , gel abril , gregor tresher , tim green , daniel sanchez , paco osuna , joseph capriati , luca bacchetti..... new ep for giuseppe on carillon records, this time some different tracks and styles. love transition is the most deep and housey track full of voices and effects with a great restart. 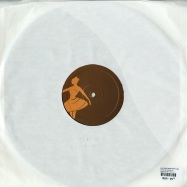 i was right is the pick of this ep, a great groove with a classic pad in the breaks. 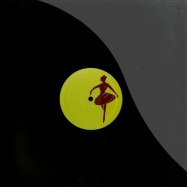 lovers fight is the more tech house track,dark and solid in perfect style with the carillon first release. team up formed by two of the most interesting upcoming italian producers already renowed worldwide for their skills here remixed by giuseppe cennamo and matteo spedicati!